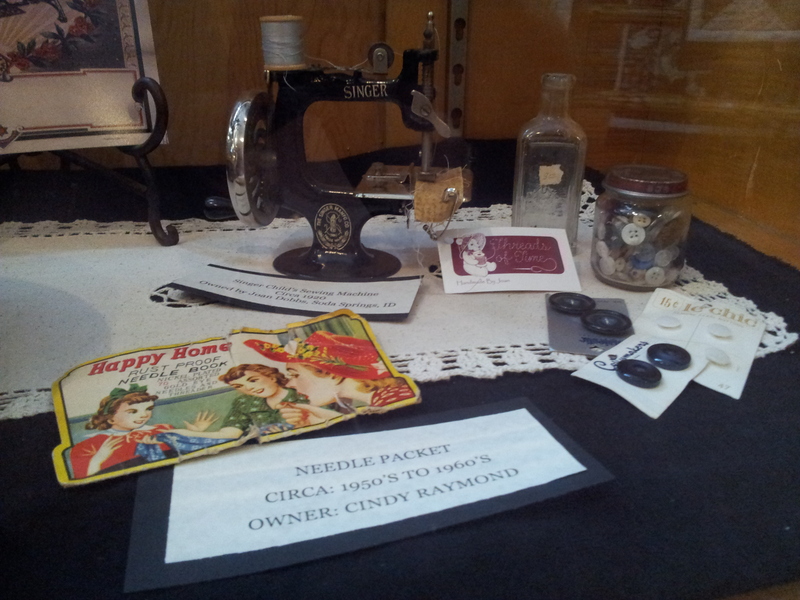 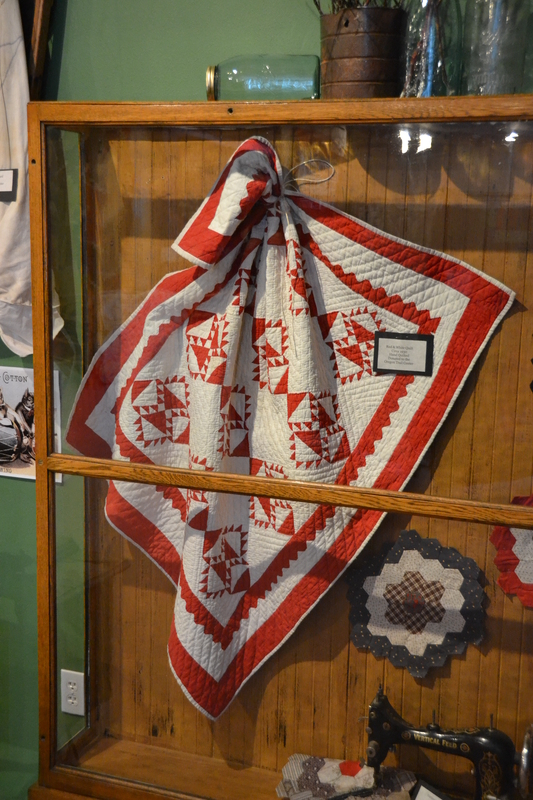 Last week, I wrote about my recent road trip to Idaho and the Quilt Show which was held in Montpelier, Idaho in The National Oregon/California Trail Centre. 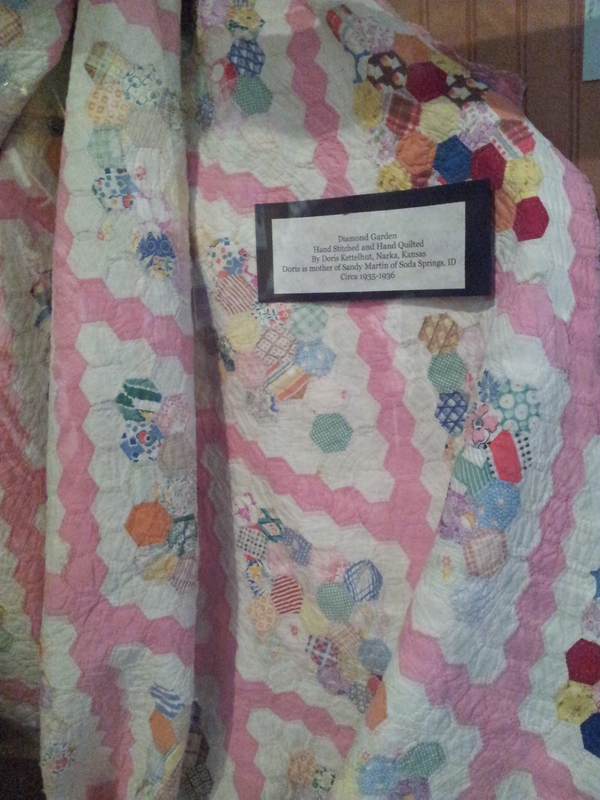 You can read more about the post here. 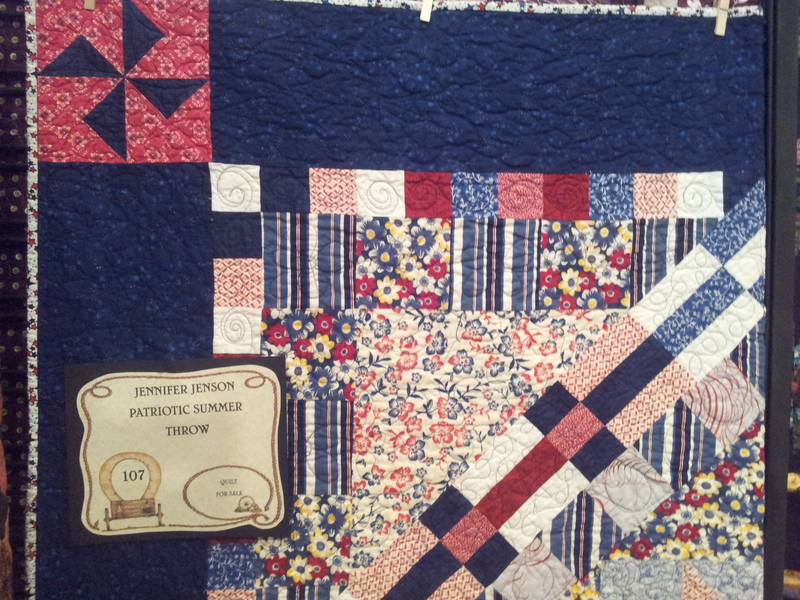 As promised I want to share with you both Countryboy and I’s photos from the show. 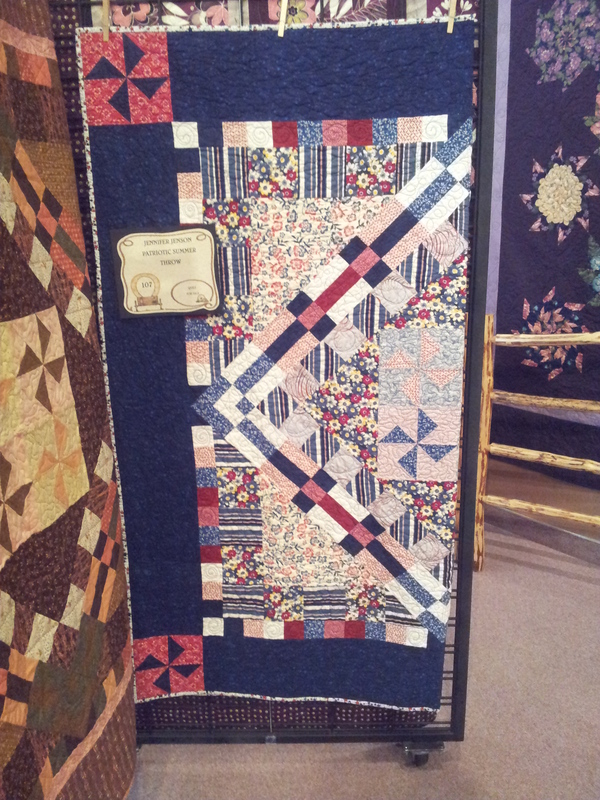 I think this was the first time I had been to a proper quilt show, and certainly the first time I had been to one in the US. 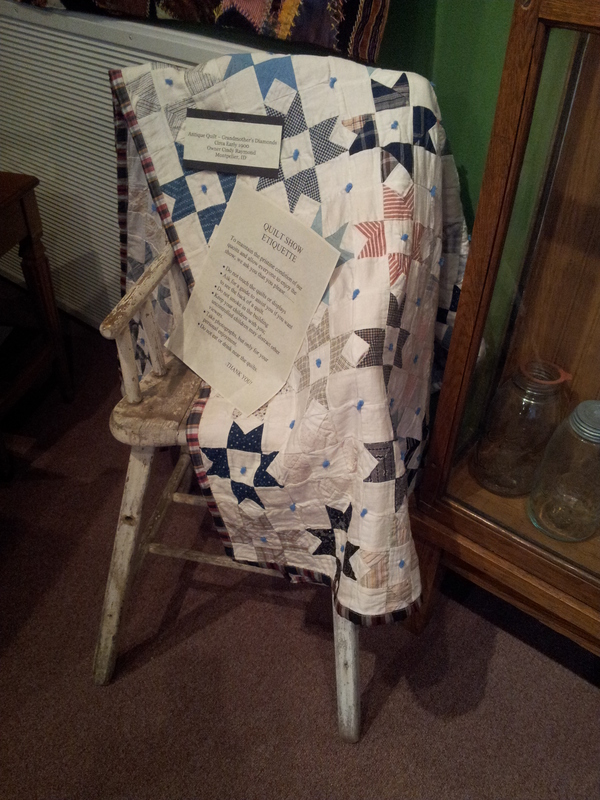 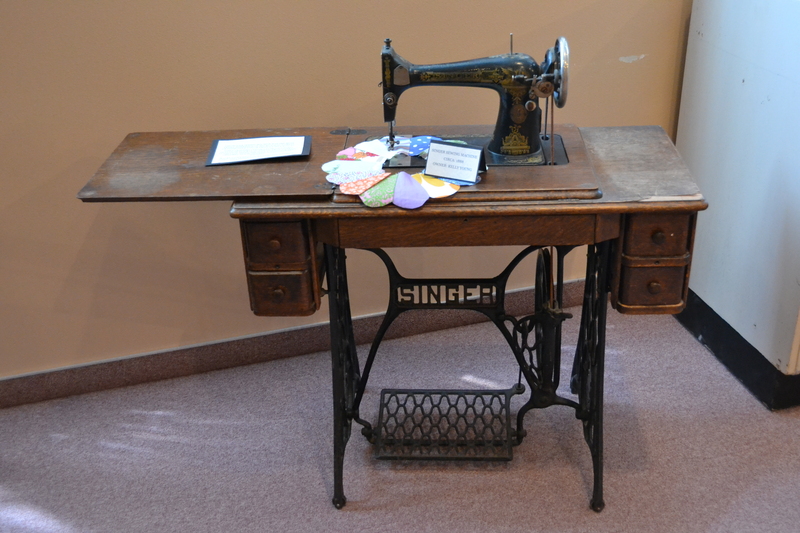 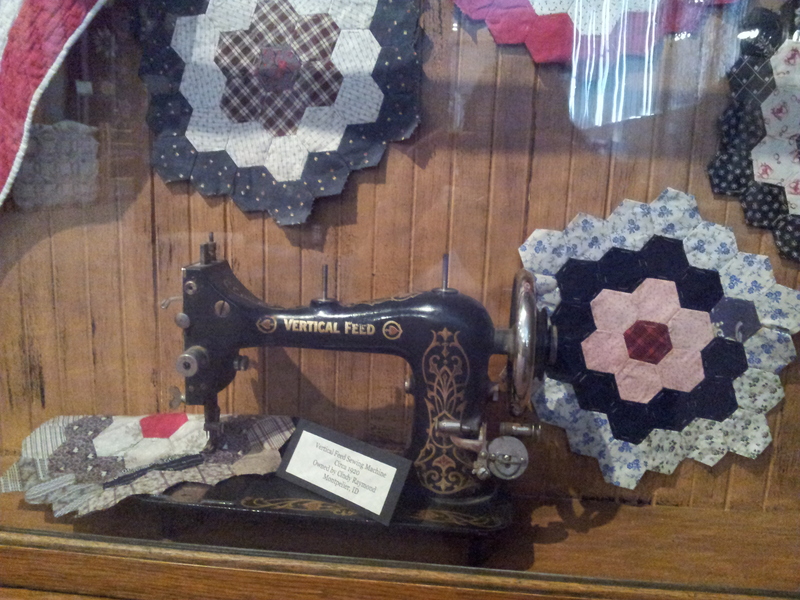 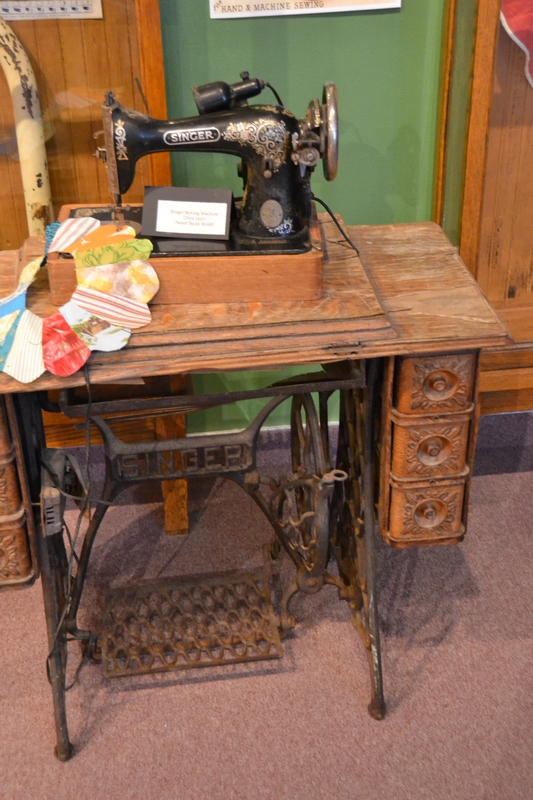 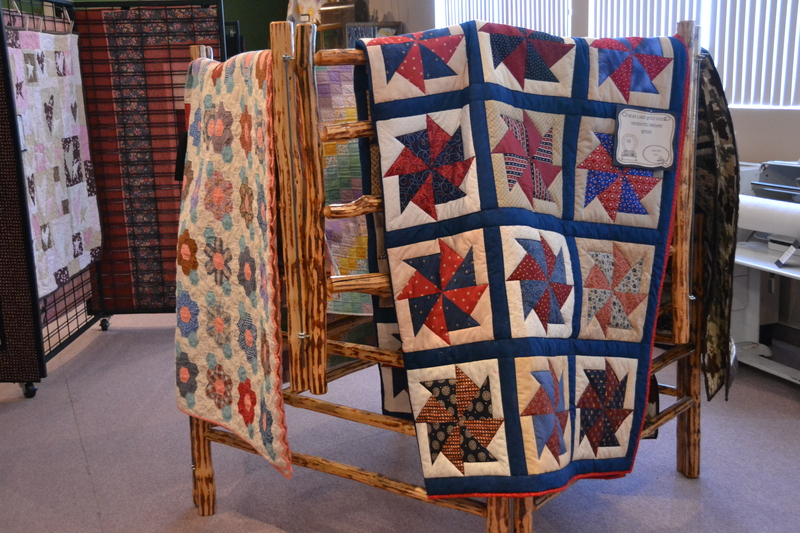 I have to say my favorite things to see were the antique quilts and of course the museum articles on display, though there were a number of contemporary quilts that caught my eye. 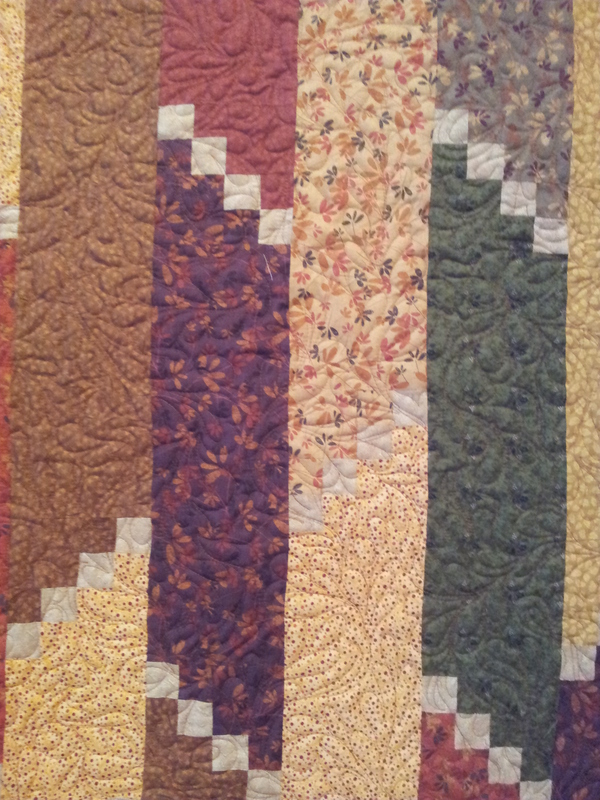 I will start with Countyboy’s photos. 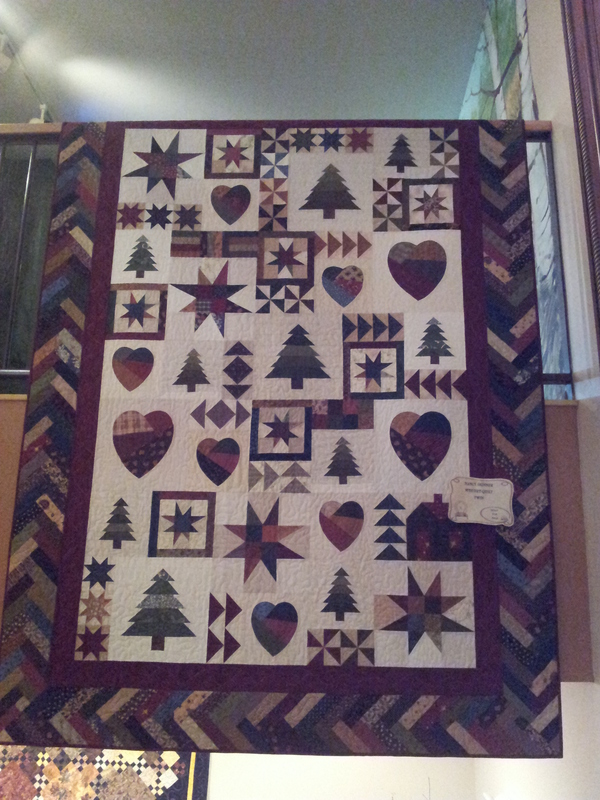 This red and white antique quilt is from ca. 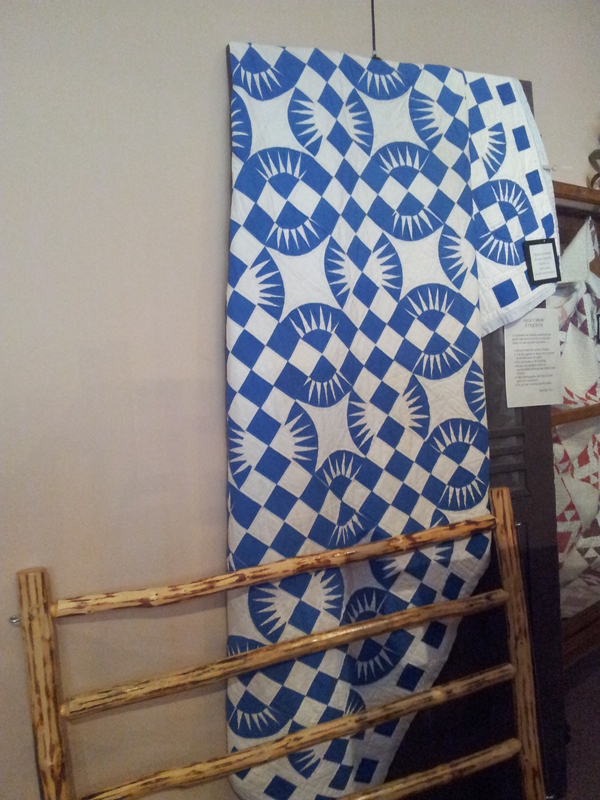 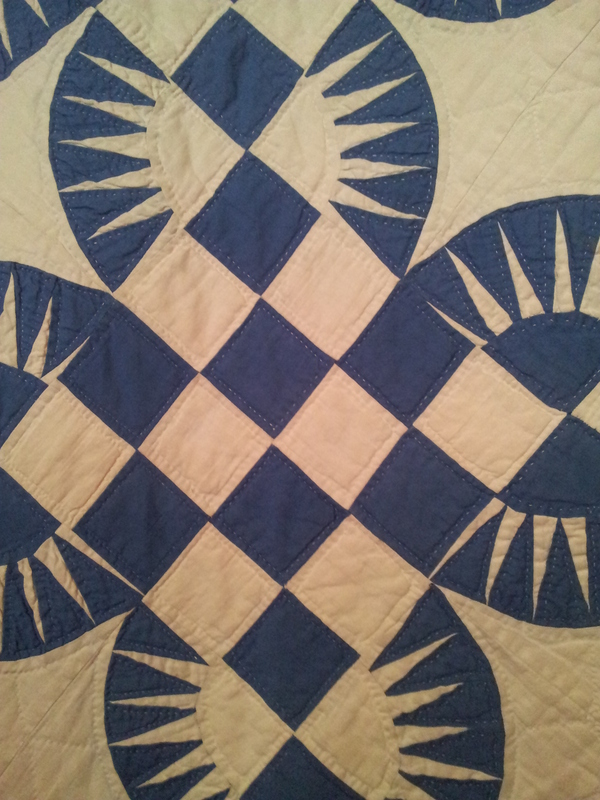 1930 and has been beautifully hand quilted. 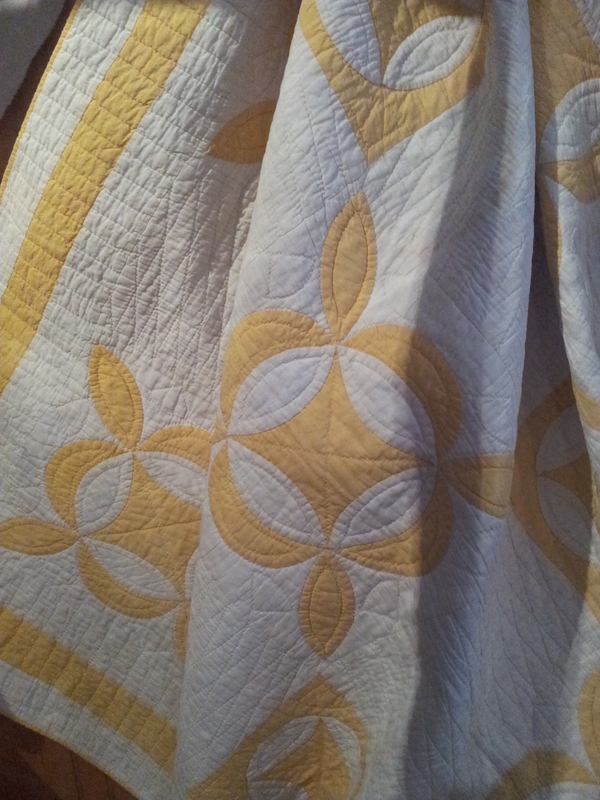 I studied this one and the other hand quilted quilts very carefully, so I could figure out how mine should look! 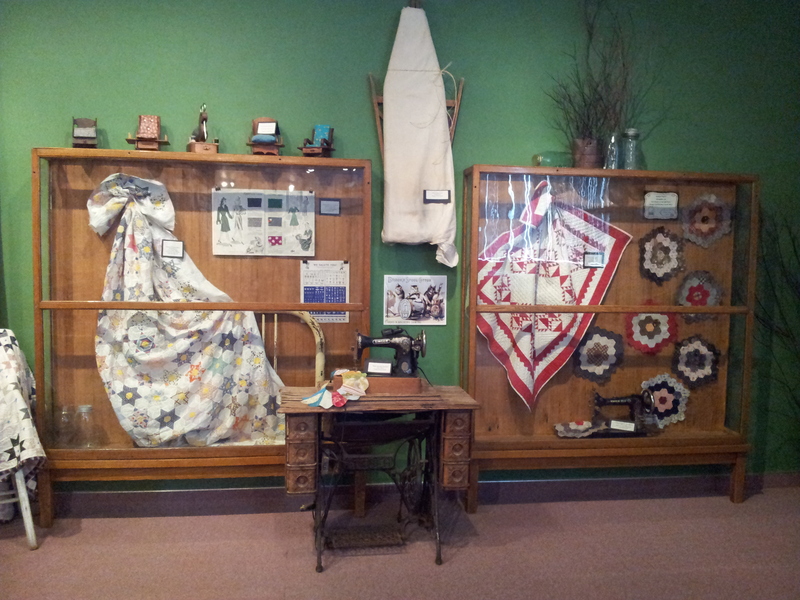 If you are in the area I would recommend you try to go see the show for yourself. 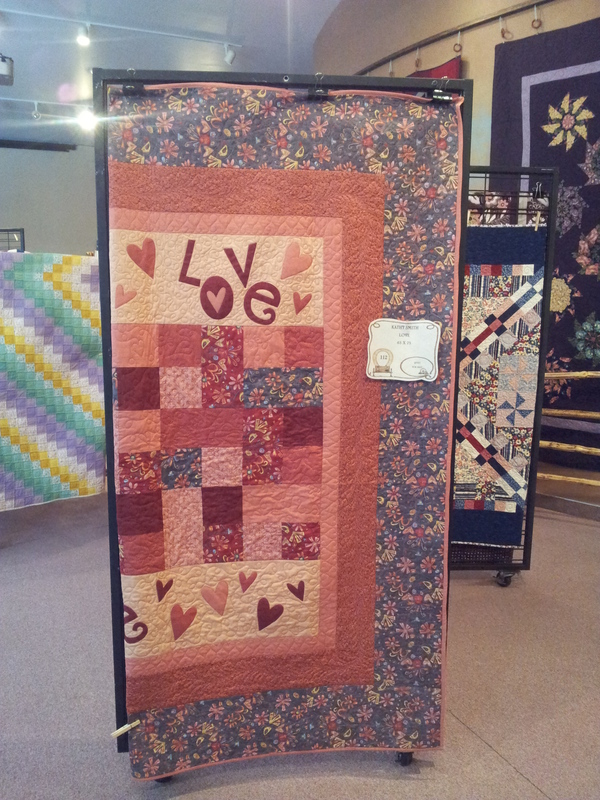 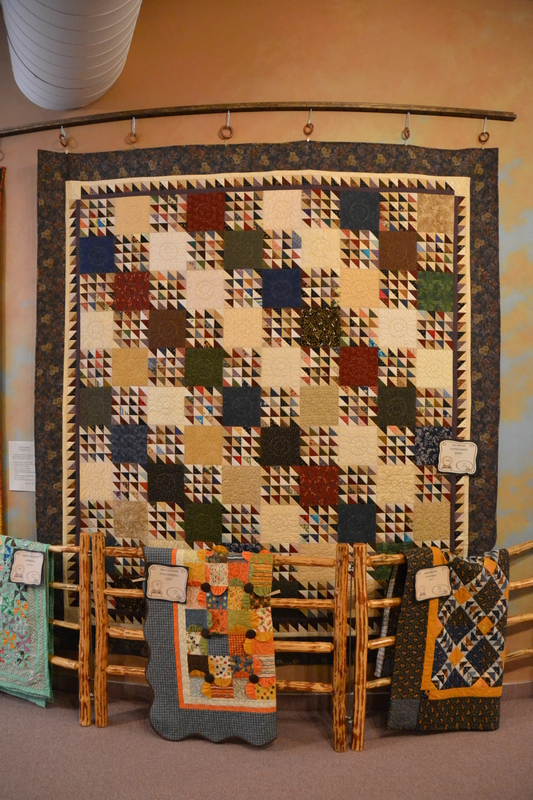 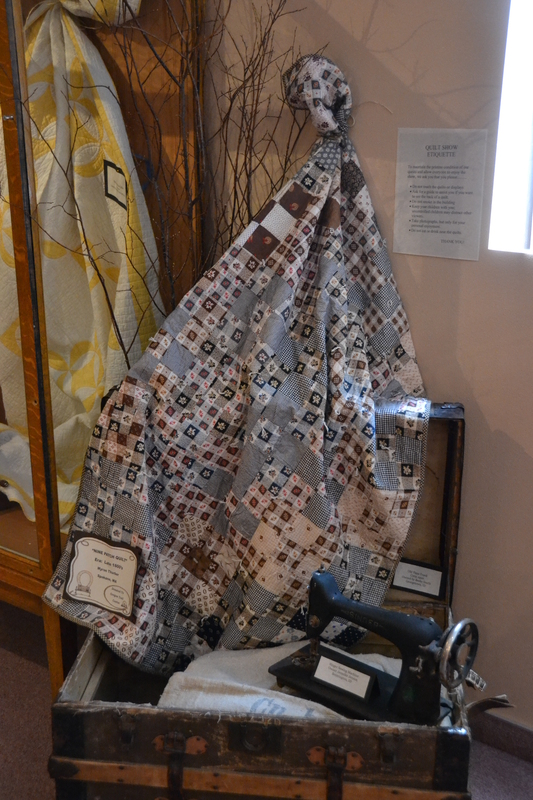 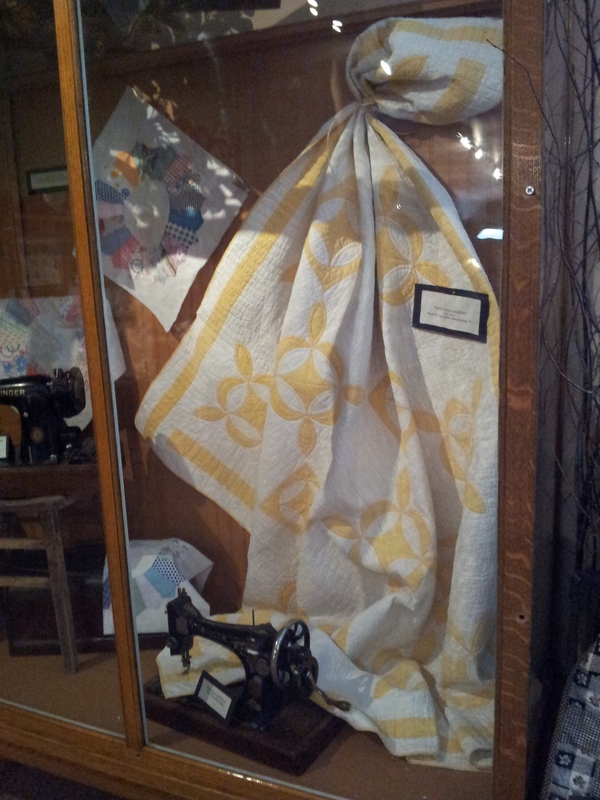 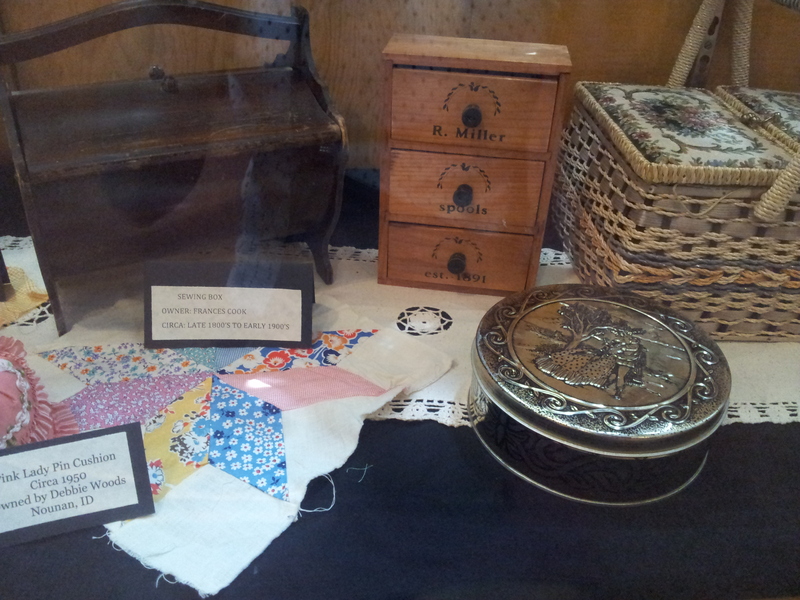 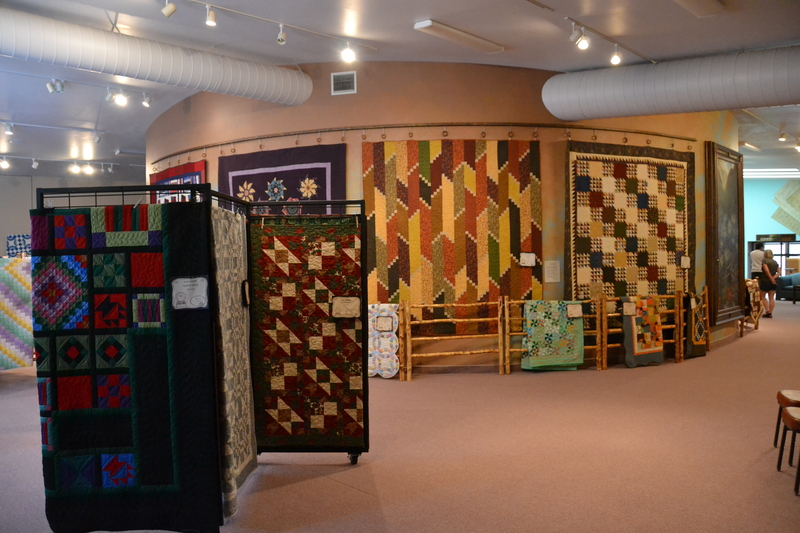 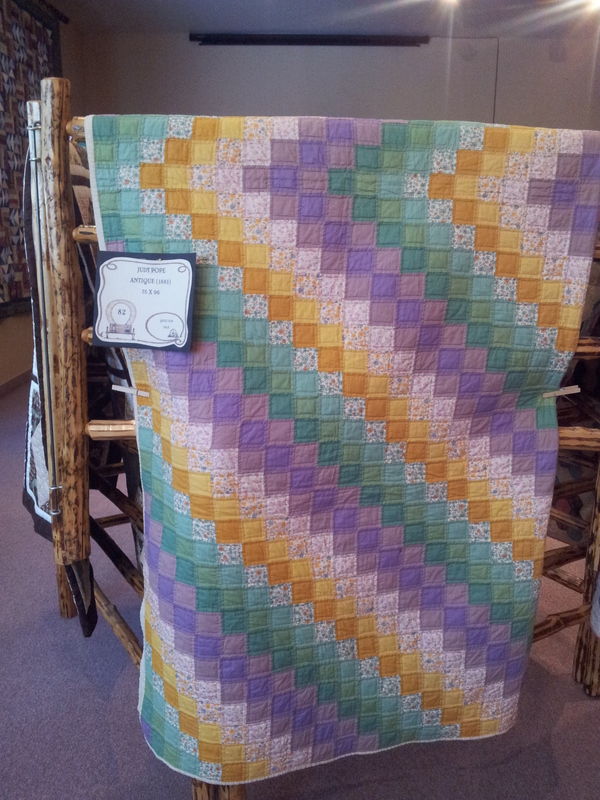 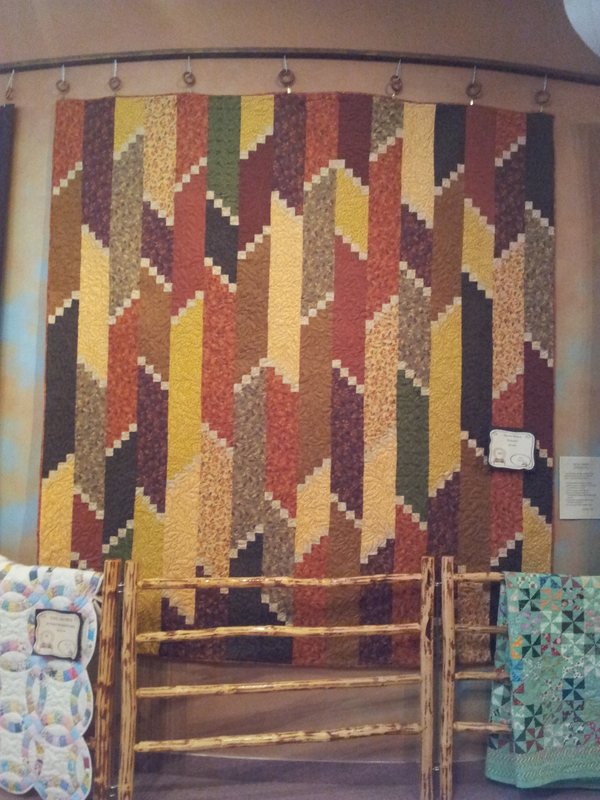 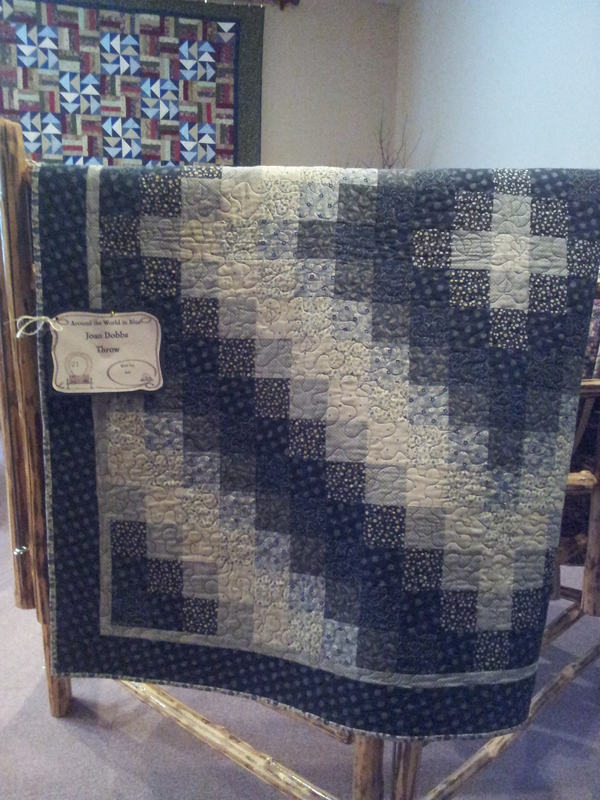 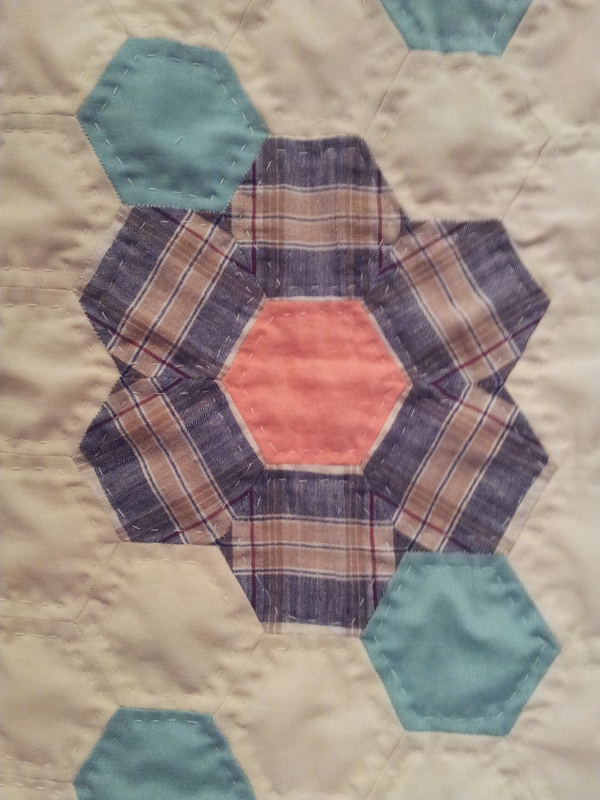 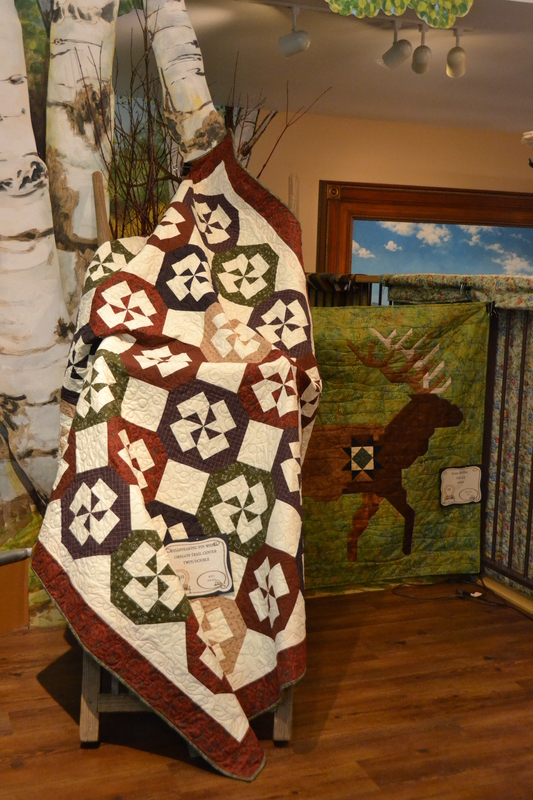 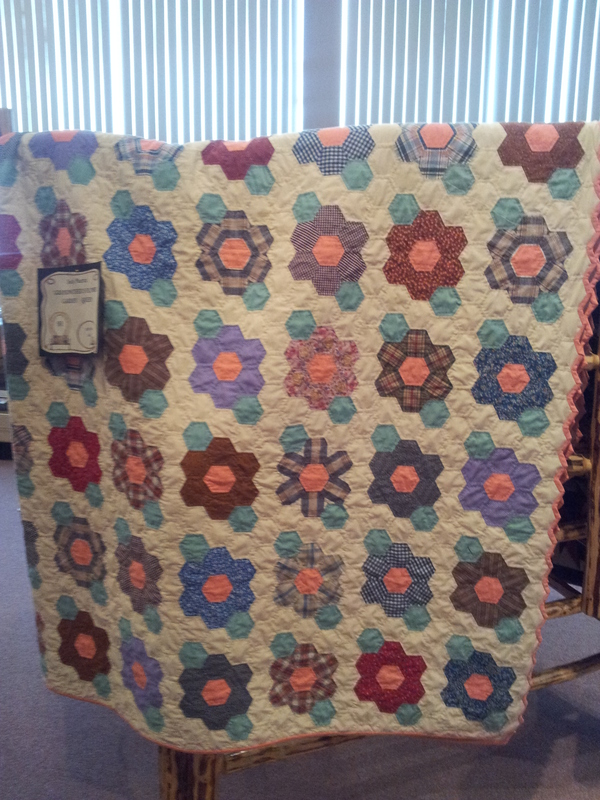 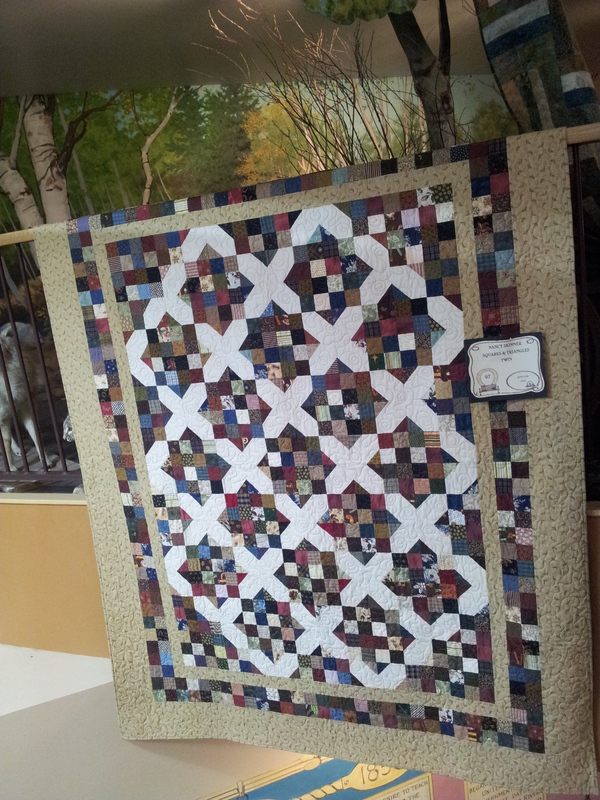 The quilt show is showing at the National Oregon/California Trail Center. 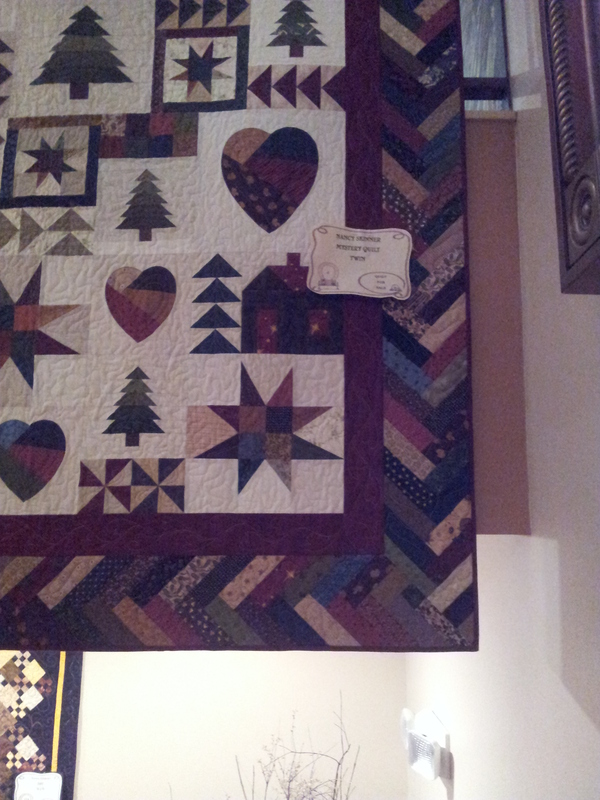 It started on May 1st and goes through until October 15th. 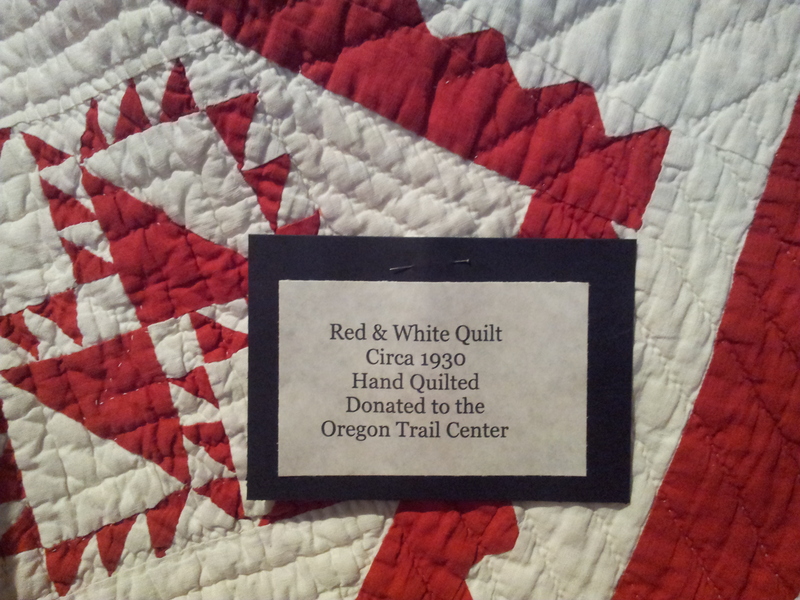 For further information on the area and The National Oregon/California Trail Center please read my previous post. 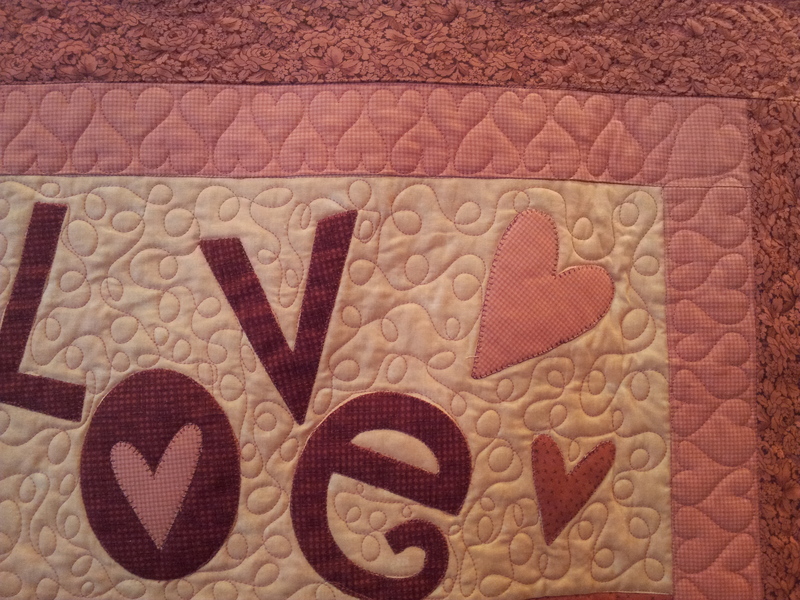 I hope you enjoyed the post, please let me know if you have any questions or comments.